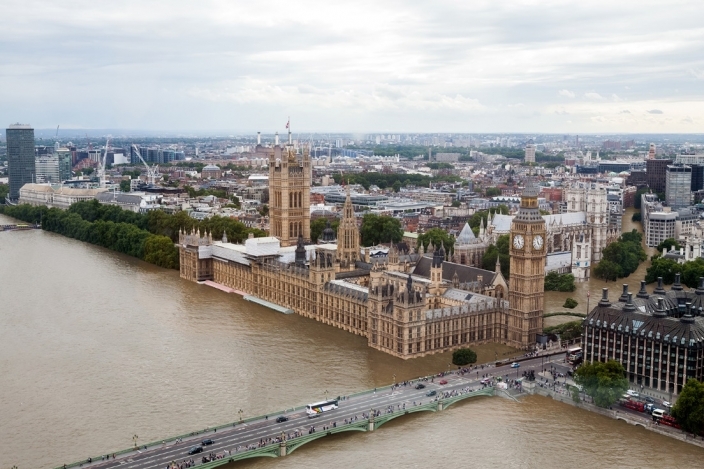 The UK’s legally binding carbon reduction targets should be brought forward if the country is to meet its obligations under the Paris climate agreement, according to a new report from the Liberal Democrats. Party leader Sir Vince Cable and energy and climate change spokesperson Baroness Lynne Featherstone have argued that the UK’s goal of an 80% reduction in emissions by 2050 compared to 1990 are not in line with the most ambitious aim of 2015’s COP21 agreement – limiting global warming to 1.5 degrees Celsius. They argue that UK, which is currently signed up as party of the European Union, should pursue a goal of ‘net negative’ emissions and bring its target under the Climate Change Act forward to 2040-2045. “This would then put the UK on track to very nearly meet the Liberal Democrat goal of ‘a Zero carbon Britain’ by 2050, delivering a 93% cut,” the report - A Vision for Britain: Clean, Green and Carbon Free - claims. “We must do everything in our power to get our own house in order and set an example to the world. What is needed now is a radical plan to decarbonise our economy and set Britain up for a clean and green future,” the two grandees state in the report’s foreword. “The Coalition was the greenest government ever, tripling electricity generation from renewable sources and establishing the Green Investment Bank. But in the last two years the Conservatives have done their best to unravel this progress and Britain is slipping quickly behind. 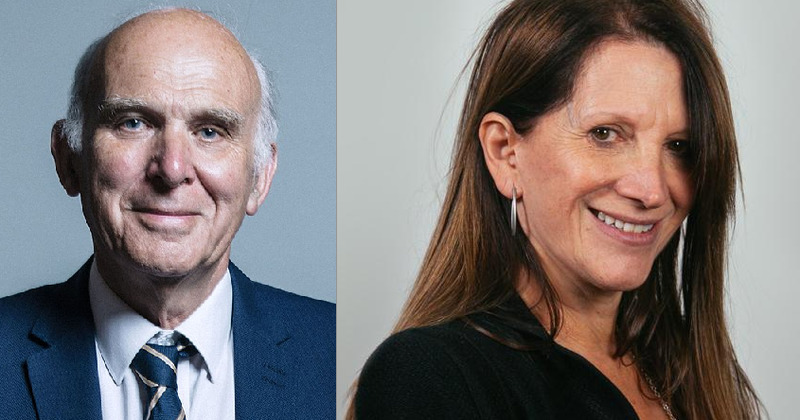 Liberal Democrat party leader Sir Vince Cable and energy and climate change spokesperson Baroness Lynne Featherstone. Image: Chris McAndrew & The Liberal Democrats. Using the Committee on Climate Change’s ‘Max Scenario’, the Lib Dems have modified the 2050 action plan to provides an additional 8 MtCO2e worth of emissions cuts to UK annual emissions by 2050. The biggest implications of this would be felt in the UK power sector by 2030, where emissions from generation would need to gall below 100gCO2e/kWh. The report says this would mean at least 75% of power generation in the UK would need to come from low or zero carbon sources, around three times the current figure. Cable and Featherstone argue that a portfolio approach should be taken to back a range of technologies to avoid any kind of ‘technological lock-in’, or stranded assets, resulting from continued development of low carbon technologies. They also argue that there is “an urgent need” for carbon removal or negative emissions, referring to technologies than remove pre-existing emissions from the atmosphere; that peatland should be included in carbon accounting; and that additional emissions savings can be made from resource efficiency across businesses. Adding these additional savings to the CCC’s max scenario would represent the 93% reduction in carbon emissions by 2050 the Liberal Democrats are calling for. However, they add that this will not be possible if new higher levels of investment cannot be secured in the 2020s. The plans set out in the report would require the fifth carbon budget to be brought forward, which is still in the government’s power as it has yet to set out its plans to meet the targets with its Clean Growth Plan. This will outline how Theresa May’s Conservatives plan to meet the CCC’s recommended carbon budget for the 2028-2032 period of 1,725MtCO2e, representative of a 57% cut in emissions compared to a 1990 base level. This was confirmed by then energy secretary Amber Rudd in June 2016 but the government has yet to publish its plan, with current climate change minister Claire Perry previously claiming it would be published this month. However, Parliament has once again risen for conference season, meaning it will likely not be released until after ministers return to the house on 9 October.